By integrating BigCommerce store with HappyFox Chat, during an ongoing chat you can view the history of orders placed, the list of items in each order and statuses of each order. 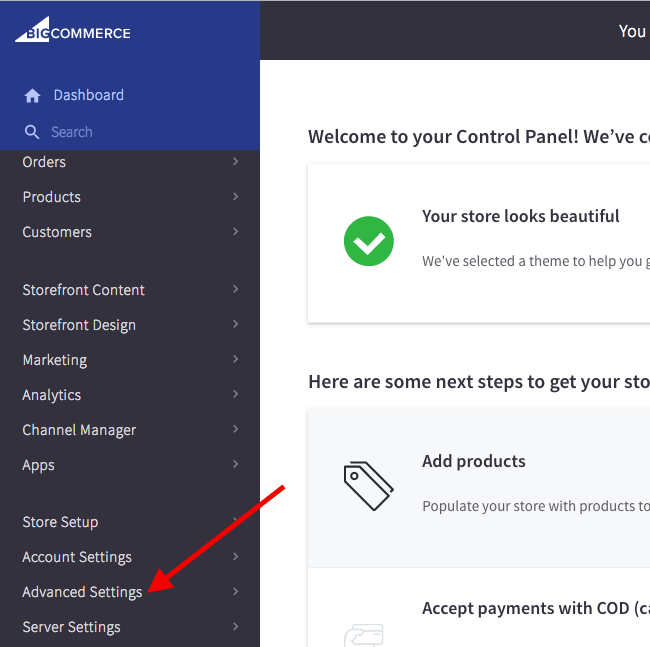 On your BigCommerce account, ensure your role is admin. 2. Click on Advanced Settings on the left pane. 3. Click Legacy API on the left, under Advanced Settings. 4. Now click on Create a Legacy API Account button. 5. Enter a Username -> Copy the Username, API Path and API Token -> click Save. 6. Once you save, a new user account will be added to your Legacy API Account. Step 2: Go to Apps -> BigCommerce. Step 3: Click on INSTALL/TRY FOR 7DAYS button. Step 4: Now paste the Username, API Path and API Token copied from your BigCommerce account -> click Connect. Update your preference under Settings -> click Update settings. 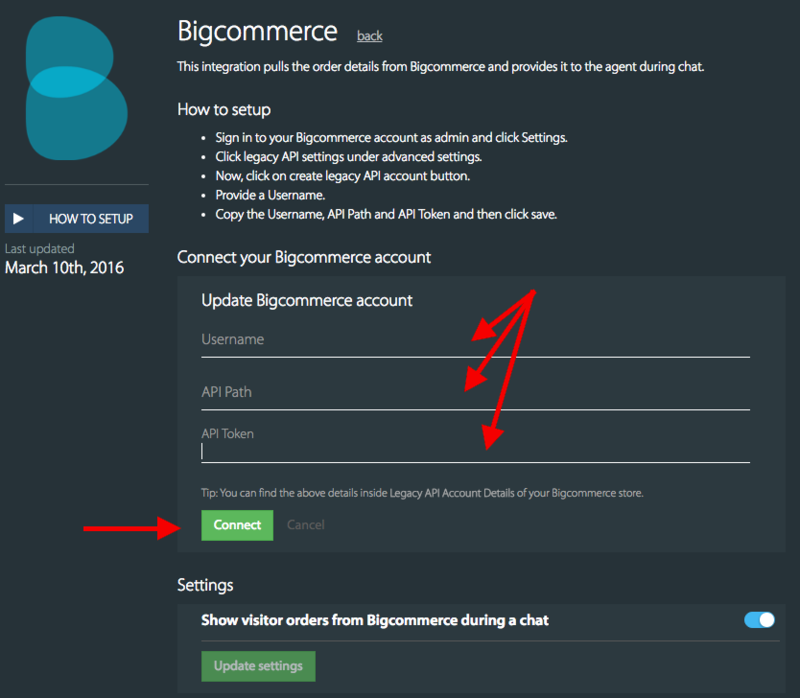 Now your BigCommerce account will be integrated with your HappyFox Chat account, successfully.